BOULDER COUNTY, Colo. — In our Colorado, population growth is sparking a debate between respecting our national forests and our gun rights. Popular shooting spots are seeing a lot of damage, especially in parts of the Arapahoe and Roosevelt national forests, where dispersed shooting is allowed. Gun enthusiast Paul Troy told Denver7 it's been a growing problem. "When you go to a site and there's garbage everywhere, and rounds, trees shot down — it’s just disrespectful," he said. He said he is in favor of a plan in Boulder County to close off some of the areas available to shooters, as long as there is somewhere else for them to go. "Quite a few people have guns and if they want to go shoot and they don't have a place to shoot, you’re just gonna go where you think you can get away with it and that's a problem," he said. Gary Sanfacon with the Northern Front Range Recreational Sport Shooting Management Partnership, a group made up of Colorado Parks and Wildlife and several counties, is trying to find a way to make everyone happy. 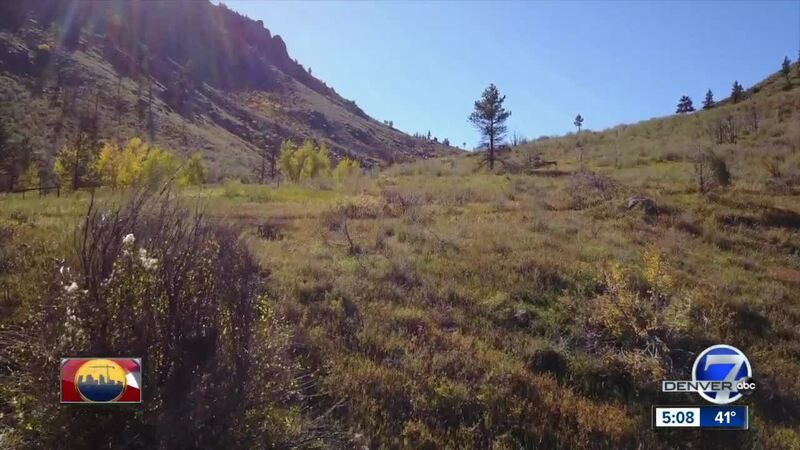 Last fall, the partnership, which comprises the Forest Service, Boulder, Clear Creek, Gilpin, Grand, Jefferson, Larimer and Park counties, released a draft decision notice to inform the community of a project to determine where recreational sport shooting is unsuitable and to address safety concerns given the growing population. It mentioned instances of homes and outbuildings that had been hit by stray bullets. "There are more of us," Sanfacon said. "More of us recreating, more of us living in the mountains, more of us shooting in the mountains so we are just bound to run into each other more." Boulder County is considering two options. One is to expand the existing Boulder Rifle Club and replace the Cemex-owned cement quarry in Lyons with a brand new shooting range. The second idea is to have each county consider its own plan to account for displaced shooter, depending on if and when the shooting areas are closed in the Arapahoe and Roosevelt national forests. But there are concerns with Lyons city leaders that include sound mitigation, environmental impacts and the location to a school. Others in town support this move because they say bringing forest shooters inside may make things safer. "You need a supervised gun range to keep it under control," said Lyons resident Don Mercer. "A lot people shouldn't have guns that do have guns." There's still a long ways to go, but the main focus for all is a compromise that satisfies both sides. A final decision on whether to move forward with the partnership’s plan has not been made because the government shutdown has stalled the process. "It affects everyone," Troy said. "You know you want to go out to the woods and have a good time, you don't want to have a bunch of people wheeling bullets around your shoulder. At the same time, you don't want to push it out. It's Colorado. It’s part of our community." There has not been an analysis or study conducted at either proposed site.